Pictured: LL COOL J (Special Agent Sam Hanna), Chris O'Donnell (Special Agent G. Callen) and Jaylen Moore (Martin Smair (Imposter)). 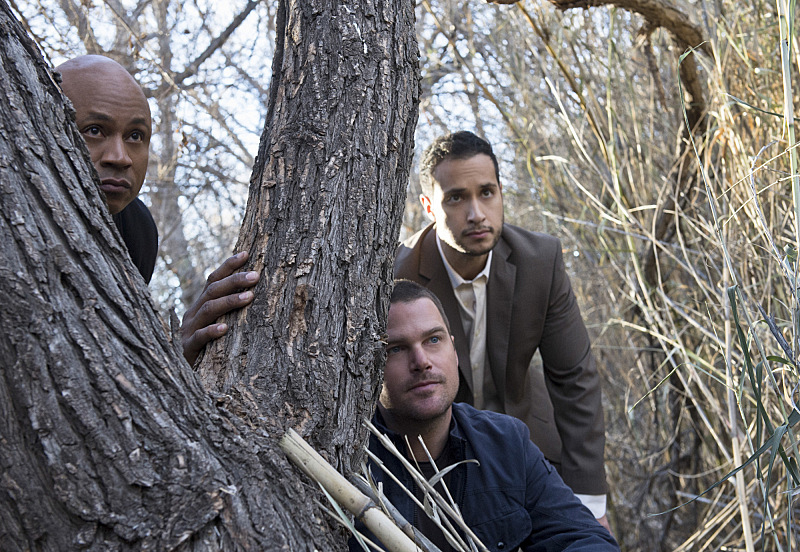 Callen and Sam are kidnapped when they follow an anonymous tip about a missing NSA agent. When the team discovers they are nowhere to be found, they realize it could have been a trap set by terrorists, on NCIS: LOS ANGELES, Monday, Feb. 9 (9:59-11:00 PM, ET/PT) on the CBS Television Network. o air on the CBS Television Network. Photo: Neil Jacobs/CBS ©2015 CBS Broadcasting, Inc. All Rights Reserved.